Is Jigsaw not the Jesus of Slashers? The vast majority of previous Slashers required either their own physical embodiment or someone else to don the mask. It always struck me as odd that Jason Vorhees only received his ski mask in the third film. The previous two films used a potato sack with a hole. Of course, we know that capitalism is responsible for what happens next. How could they have marketed a potato sack like a hockey mask? The visage of the Slasher is the motif that solidifies his character and market share. Freddy is an incredible example of how market can’t turn the representation of the most heinous repression of evil into a knickknack. Is there not something odd about the bobble head of a child molester occupying the dashboard of a soccer mom’s minivan? Even Scream, which shares similarities with Saw, used the Ghost face mask to instill a continued market presence, terrorize teens and maintain hegemony to the notion of Ghostface. All the while the Ghostface gave credence to the killer’s re-inhabitation, and the anonymity required to unify conspirators under one convoluted murder scheme. Saw IV begins with Lt. Hoffman pressing play on a tape recorder recovered from Jigsaw’s stomach during his autopsy. The disembodied voice lays out the rules for another game, and promising the continuation of his legacy even after his martyrdom. Hoffman as we come to find out in the climax of the film is a co-conspirator that was with Jigsaw from the beginning. What are we to make of this? Unlike when Jason or Freddy is disposed of by a teenage girl, in order to move a sequel into production, filmmakers must find a way to narrate loophole to resurrect them into a continuance of the narrative. Jigsaw, on the other hand, is not so much located in the physicality of his body, but the message or story of his ideology. Rather than, excavating Jigsaws corpse to bring new life to his body, the films have resurrected the idea of Jigsaw through narrative reconstruction. Adding new information and connections between elements in order to add something new to the story we were already told. Narrative therapy can be of us to us in understanding the progression of Jigsaw's story. Narrative therapy is based on the idea that the moments in one’s life that are linked together to form the story you tell yourself about yourself are not intrinsically fixed points. The moments can be encoded with whatever meaning that can attune itself to the experience. In other words, we make up who we are as we go along. Subsequently, as the way in which we tell our life's stories can change the overarching meaning of our lives. For example, the first Saw film was slapped together on a shoestring budget. The plot was developed from a short film of the same name. The story was encapsulated in the film with a beginning middle and end. Although, James Wan could have worked on the assumption that the first film would spawn a set of sequels, I don’t believe this was the case. Evidence for this is that Wan’s lack of participation in many of the sequels. This is to say that the narrative of the series of films was not included as a back story to the original film. The creepy doll which rides out from the darkness to deliver its message with a cackle was a stylized element used to craft add mystery to Jigsaw's persona. 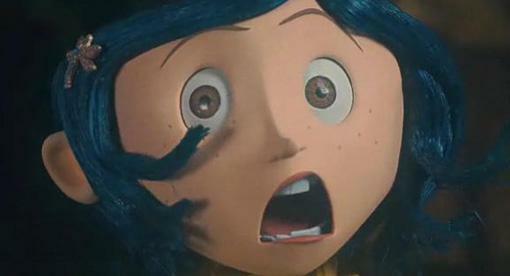 Without exposition, the first film dropped the doll into the story. 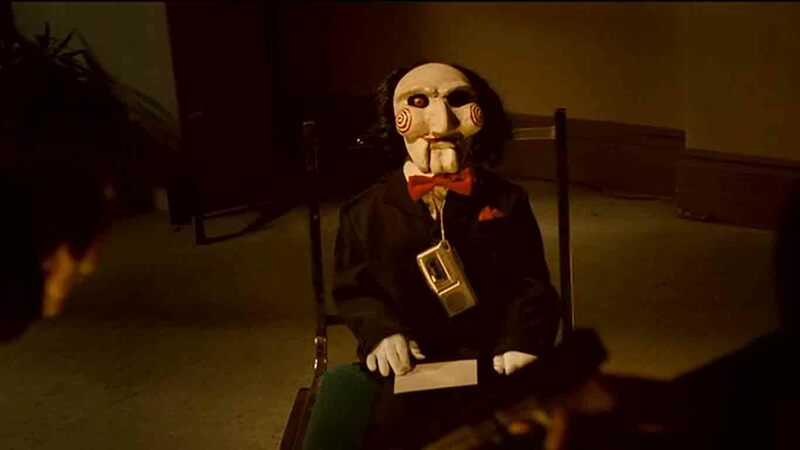 The doll was just a creepy doll which filled the need to give Jigsaw character quirks to keep the viewer interested. The doll, in this sense, was all style and no substance. This changes in Saw V, when Aiden is introduced as the inspiration for the doll. Aiden, for those who may not remember, is the fetus that was killed when a thief slammed a hospital door into Jill Tuck's (Jigsaws wife) gut terminating the pregnancy. Re-watching the first film with this knowledge, then changes the character of the doll from an abstract character quirk to a materialized repetition of Jigsaws undigested grief over losing his son, and the vengeful ghost of a fetus that was unjustly squished. What does this mean for the viewer to have elements retrospectively re-inscribed with meaning? Does the extra exposition add a layer of depths of Jigsaw’s persona or does the meaning filling the gaps rob Jigsaw of his mystery? By fleshing out Jigsaw’s life story in excruciating detail, does the story loose something in its sequels that were presented through absence in the first film? Let’s take a clearer example the difference between John Carpenter’s Halloween and Rob Zombie’s Halloween. In the JC version, there is a significant amount of Michael Meyer’s story that is not told. We don’t understand why little Michael snapped and stabbed his sibling. The absence of narrative, here, surveys a positive purpose. By keeping Michael’s psychological pathology out of the story, the view is left to think. To rationalize what she is seeing on screen. She critically inspects the subject matter of the film looking for information to saturation this intentional negation in the Michael's motivations. This rat on a wheel spinning without easy resolution is unsettling and is to a large extent what creates the horrific presence of the JC’s Halloween. Rob Zombie had other plans. RZ’s Halloween uses near half of the film to endlessly divulge every detail of Michael’s life. Michael lives in a lower middle-class and a dysfunctional family. His mother is a stripper, his sister is over-sexualized, and his stepfather is a profanity-spewing drunk. The home itself is unkempt and has visual signs of filth and decay. Michael is bullied at school and keeps dead animals in his locker. 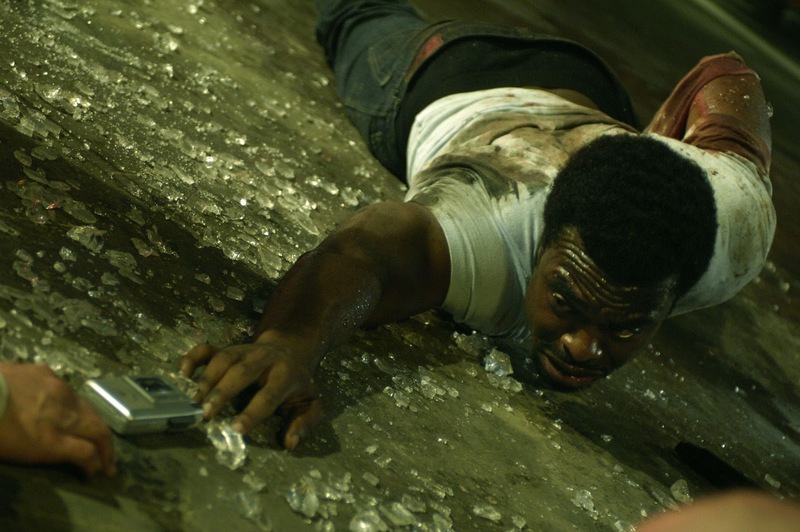 RZ ruthless includes an overabundance of elements that makes it clear, even to the viewers who are not clinically trained, that Michael is crazy and prone to violence. So, it is no surprise when he snaps, even without the intertextual knowledge of the JC's Halloween, RZ includes more than enough to not just foreshadow the events in the film, but declare that formulaic evil stuff is going to happen. There is a sense in which RZ’s over-contextualization of the narrative voids the capacity of Michael Myer’s story to create a similar breed of horror for the viewer. 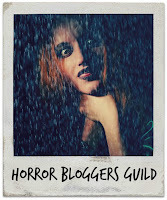 Horror gets displaced from what is not seen to cheap thrills of blood and guts. RZ leaves nothing unknown. We know why Michael snaps, and can empathize with him in a way we cannot with JC’s Michael. JC’s Michael was a burden for the viewer to unpack, and because we could never really unpack why Michael snapped his actions are unjustified by the narrative. RZ, on the other hand, fully justifies Michael’s actions removing their shock value. Returning to Saw, what was so elementally creepy to me about the film was a mystery surrounding Jigsaw. He was a masked not only by the pig face, but by his method of slaughter. Obfuscating his presents in the kill scene, he hid himself with his presence. As the film unfolded, we, like the detectives in the film were struggling with understanding Jigsaw. What was Jigsaw's deal? Why such a heavy-handed ideological and moralized Slasher spree? Most previous slashers did not stop to justify their actions to their victim. Satisfied with saying hello with a machete to the face they left the viewer and victim stewing in indigestible material. Jigsaw, on the other hand, narrates to his victims their own story. It’s as if to superimpose Jigsaw’s version of Dr. Gordon and Adam’s narrative against the story they tell themselves about themselves in order to destabilize their sense of identity. Infesting their sense of self with chronic doubt so that they can adopt the master (jigsaw’) narrative. Abstracting, for a moment, is this not the same process, of re-narrating, that the sequel’s used to excavate Jigsaw’s story? Shaking loose, and digesting Jigsaw’s mystery for us so we don’t have to think for ourselves. Is this not the fundamental problem of post-modern horror? The films assume we can’t think for ourselves, so they think for us?